Nellie Wixom received a Bachelor of Science in Nutrition Management from Rochester Institute of Technology with highest honors. Her past work experience includes Wegmans Food and Drug, where she worked in the Consumer Affairs Department developing and revising nutrition education material. Nellie has been with the University of Rochester for sixteen years. Nellie was the Program Director of the University of Rochester's Nutrition Weight Management Center for ten years. Currently, she wears several hats at the University of Rochester. For the last five years, Nellie developed and continues to teach two in-class academic courses at the University of Rochester's School of Nursing entitled Best Practices in Nutrition and Weight Managment for the Health Care Professional and Adolescent Weight Management for the Health Care Professional. In addition, for the last 3 years she has facilitated a Fast Track on-line course entitled Nutrition and Health. 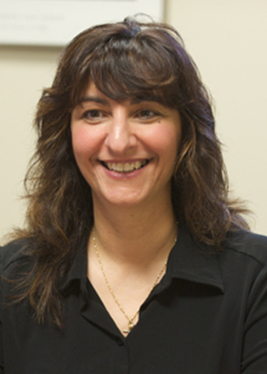 She also has an appointment as a research dietitian at the U of R's Clinical Research Center and was Co-Principal Investigator of a study through the School of Nursing that is testing the effects of acupuncture on weight loss in adults. Nellie has also participated in many speaking engagements, media interviews and newspaper articles on obesity and other nutrition related topics. In addition, she has co-authored a nutrition chapter on obesity for the American College of Physicians-American Society of Internal Medicine titled 'Nutrition Intervention in the Medical Management of Obesity'. "As a Registered Dietitian, I am passionate about the field of nutrition and its impact on health. One of my specific research interests includes the prevention and treatment of obesity in adults and children." Gumbiner, B (2001). Obesity. American College of Physicians-American Society of Internal Medicine.